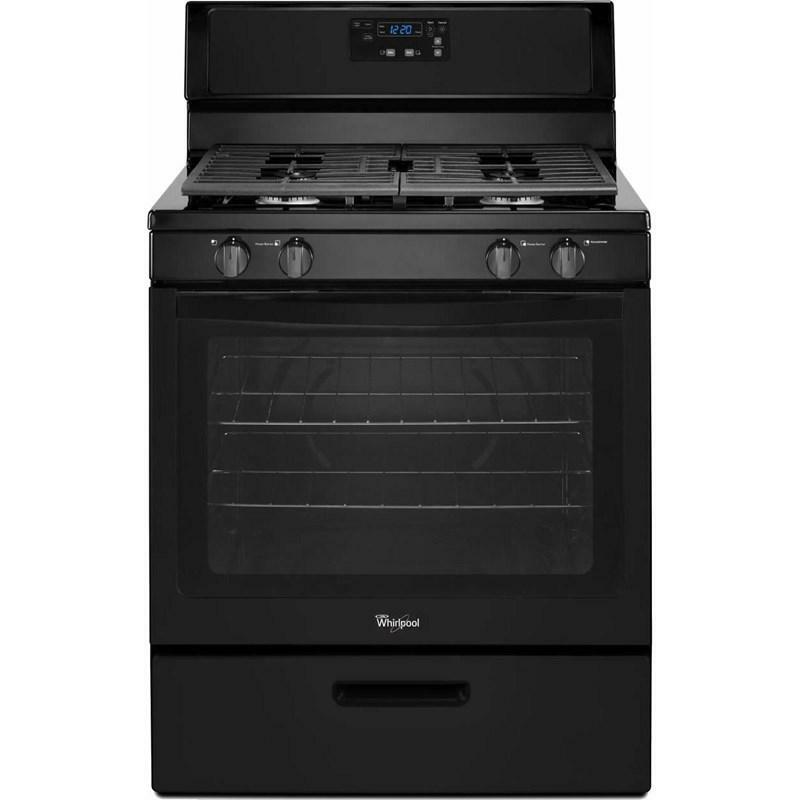 Enjoy the flexibility and efficiency you need to prepare holiday meals and everything in between with this 5.1 cu. ft. capacity Whirlpool freestanding gas range. Toasting a large batch of garlic bread or melting cheese on burgers for the whole family is easy with the full-width under-oven broiler, which provides enough space to broil an entire rack of food. 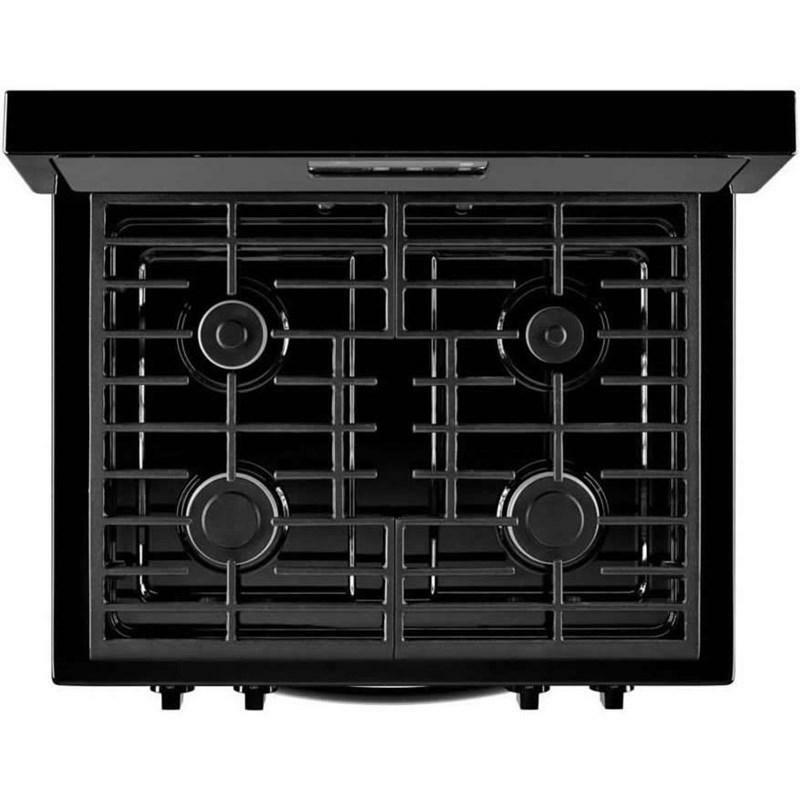 Multiple Power™ burners with up to 15,000 BTUs are perfect for high heat tasks like searing and frying, while continuous, satin-finish cast-iron grates let you slide heavy pots and pans to the optimal cooking location. The upswept, porcelain SpillGuard™ cooktop contains spills for easy cleanup. Plus, you can monitor cooking progress without opening the door and disturbing the oven temperature with the large oven window.